If North East is a dream destination for you, it's time to tick it off! If North East is a mystic land that you have always wondered about, it's time to unfold the mysteries of yourself! Put everything together, it's a unique experience you will cherish for the rest of your life! Meet at the arrival terminal of Guwahati Airport before 2 PM. 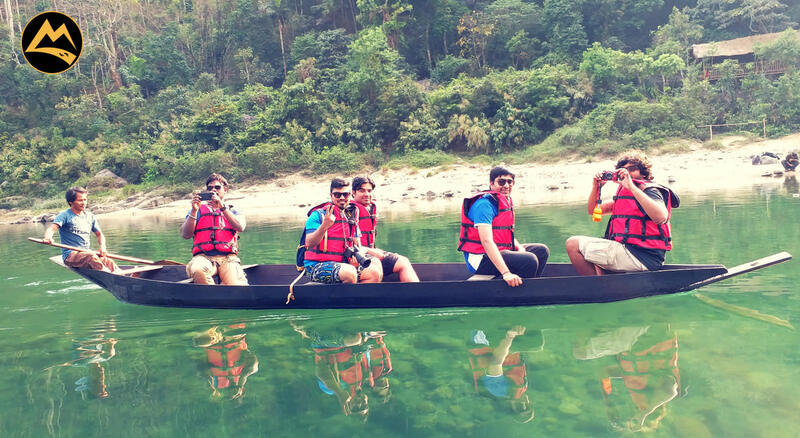 Drive from Guwahati, the bustling capital city of Assam, to a cooler and greener Meghalaya. On the way, you will get a glimpse of the beautiful Umiam Lake. Let's make a quick stopover to take pictures and a quick snack! Enjoy the local food, sit by the campfire and gaze at a million stars, indulging in some enticing conversations. Start an early day -6 AM- with quick breakfast at the campsite and leave for Mawnylong, Asia's first cleanest village but what is more enticing to see there is the Matriarchal society working in perfect harmony. Visit the living root bridge at Riwai and hike up to Nowhere village to get a glimpse of our neighbouring Bangladesh. Lunch at Riwai. Reach Kaziranga by night and call it an early night with sumptuous Assamese Cuisine. Start an early day and head out to on a jungle safari into the foggy grasslands of Kaziranga National Park. Come back and relax or take a stroll in the flea market of Kohra. Visit the Orchid and Cultural Park in the afternoon post lunch and bewilder at the cultural extravagance of Assam. Come back and gather around by dinner time to rekindle our tranquil tales of Meghalaya and Kaziranga. The long drive through fertile Brahmaputra riverbelt will have numerous viewpoints and local souvenir stores, you could stop and admire the spots as long as you have time to make it for your flight back home. Kaziranga National Park is slated to open on 1st October 2018 for the post-monsoon season. However, if the park remains closed due to any unforeseen circumstances like floods or bad weather or any other reason which is beyond the control of Muddie Trails, we will be replacing the Kaziranga part of the itinerary with something equally enticing at no additional cost. At the same time, no refunds will be entertained. Registration fee is not refunded.